If five or more students send in applications together, they can join the PBA for $45 each. Due to a number of outreach efforts, the Professional Beauty Association (PBA) increased its student membership 73% from 2011 to 2012. 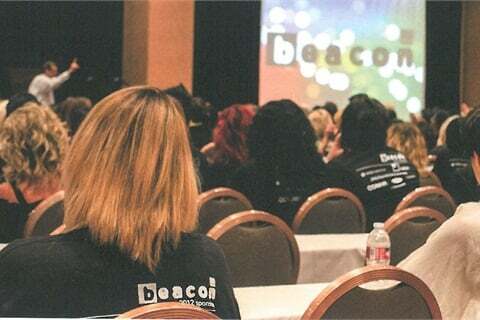 “We have always worked with a number of beauty schools to promote our exclusive Beacon program and student categories in the NAHA awards program, but before we merged with NCA we did not have a membership opportunity available to that sector of the industry. Now we do!” says Elizabeth Fantetti, the PBA director of membership and association programs. Membership benefits include free admission to beauty show ISSE (Long Beach and Midwest), access to the PBA Member Lounge at PBA-produced events, access to industry research, a 5% discount at Sally Beauty Supply, scholarship opportunities, and much more. If five or more students send in applications together, they can join the PBA for $45 each. For more information, visit www.probeauty.org/students.